Need a quick and easy sweet treat to make for your sweetheart this Valentine's Day? 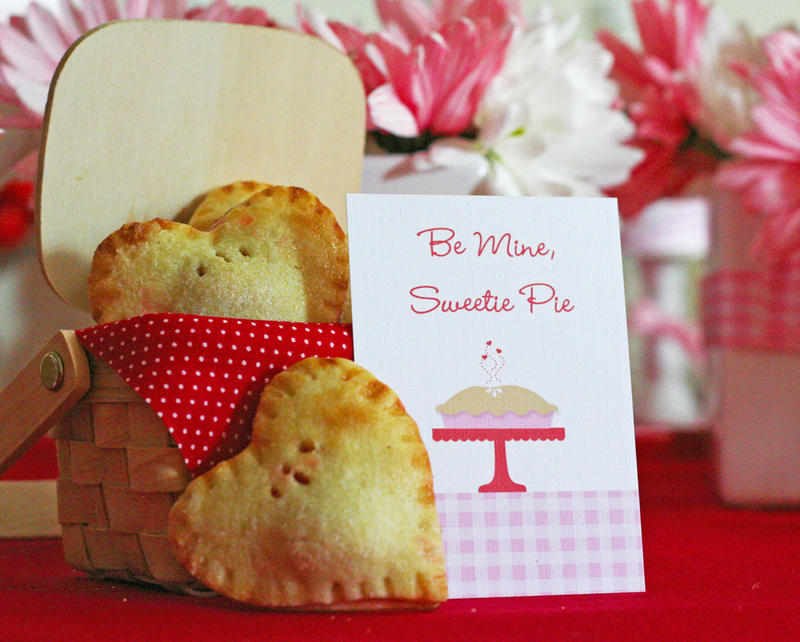 I baked up these little pies with cherry filling for my Vintage Valentine Collection. As I was baking them, I thought they would make for a great sweet treat for my husband this February 14th. Pie is really the way to his heart. But I don't really enjoy making pies. Especially since we enjoy a slice each and then they seem to sit in the fridge for the rest of the week. I like small goodies and these mini pies are perfect for someone who doesn't want to make a whole pie...like me! Roll out pie crust and cut out an even amount of heart shapes (1 for top layer, 1 for bottom layer). Lay out a single layer of the heart shapes on parchment paper on a cookie sheet. Place a small spoonful of pie filling onto the center of the heart dough. Place a layer of the heart shaped dough on top and use a fork to close up the sides. Pierce the top of the pie with a few little holes for venting. Spread some egg whites on top and sprinkle with sugar. Bake at 325 for about 8-10 minutes. I made a little valentine to go with them! Cute for kids and sure to please your main squeeze as well. Making these today! What a great idea!